From the patient perspective, portals can strengthen loyalty to the practice, improve access to information and patient engagement, and help them achieve the desired clinical outcomes. Conversely, portals ease the burden on practice staff, enabling them to focus attention providing better care and meeting value-based care goals. Despite the benefits, having a portal does not mean that all patients will use it. In a recent poll of healthcare leaders, 90 percent said their organization offers a patient portal, spurred in large part by Meaningful Use requirements designed to improve patient access to data. However, the U.S. Government Accountability Office estimates that fewer than 30 percent of patients actually use the portals. This is in part because many portals are not designed with the patient in mind. They’re static, hard to navigate and have limited functionality. For a practice interested growing patient engagement through online resources, it’s important to understand that not all portals are created the same. 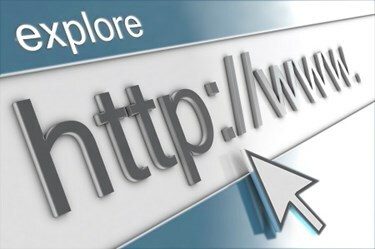 Even though these web-based gateways are typically connected to a provider’s electronic health record (EHR) system and enable access to health data, the level of information available to patients can be vastly different. Basic portals will only provide patients with billing and medical history. But more feature-rich portals will give users important, real-time information. This includes lab results, enables patients to easily interact with their provider through multiple electronic channels, and potentially pulls in data from multiple sources, putting a patient's entire history in one place and helping them navigate their health journey. In addition to ensuring portals are a more robust resource for patients, vendors will need to optimize portals for mobility, since patients increasingly rely on their smartphones and tablets to access information from any location, at any time. Increased automation - Automation isn't simply about providing patients with their health information electronically. Portals can automate numerous functions, from enabling patients to fill out paperwork and provide relevant information in advance of an in-office visit, to allowing a patient to schedule their upcoming appointment online with no interaction from your staff. These capabilities improve access to care and empower patients to collect and provide all information their providers need to assess health conditions and recommend next steps. Consolidated sources of patient data - Today's patient is likely to seek care from many sources - primary care doctors, urgent care clinics, virtual visits and more. They are also using personal fitness trackers, or other at-home devices, for measuring blood pressure and blood sugar in order to generate important data about their health. Because of these changing dynamics, it becomes increasingly important for a portal to pull all information into a single source of truth to provide a complete patient health history. Leveraging artificial intelligence and machine learning can further improve utility to both patients and providers, enabling real-time communications that could address urgent conditions or generate customized guidelines for treatment. Enhanced interaction between providers and patients - Because portals are more cost-effective and are available 24/7, they should be seen as the main tool through which physicians can communicate with patients. For patients, the portal enables them to review their care plans, access medication dosing instructions and even request refills. Most portals support secure messaging, which has become the preferred, and often most convenient, ways for patients to communicate with their providers. Portals also have started to integrate directly with virtual visit platforms, delivering new avenues for providers to care for their patients. These actionable opportunities within the portal lead to higher patient engagement and better health outcomes. Initial efforts at offering portals has been a good introduction for changing the ways that providers and patients communicate, exchange information and deliver vital healthcare functionality. But it has not been enough to change the way patients are accustomed to interacting with healthcare providers. Making portals easier to navigate, as well as expanding the functionalities and access to information, will unlock their true power and support delivery of value-based care in order to enhance patients' lives. 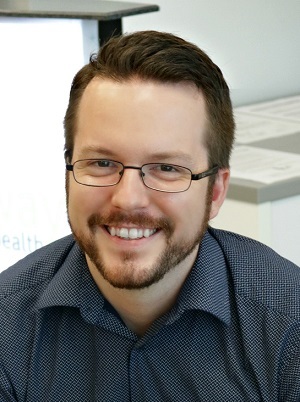 Will Siegelin is the associate product manager of population health at Greenway Health, a leading health information technology and services provider. He collaborates with Greenway partners to design solutions that streamline patient engagement strategies. His goal is to ensure that healthcare providers have the tools they need to care for patients without being kept behind a computer.